Controlling the temperature to keep the room cool in summer and insulated in winter. Helping to reduce heating bills in winter and the energy costs of cooling the room in summer. Reducing the sun’s glare – making it easier to read, watch TV or see laptop & tablet screens. Protecting your plants and furnishings from excessive sunlight. Providing the finishing touch to the decor and look of your room. 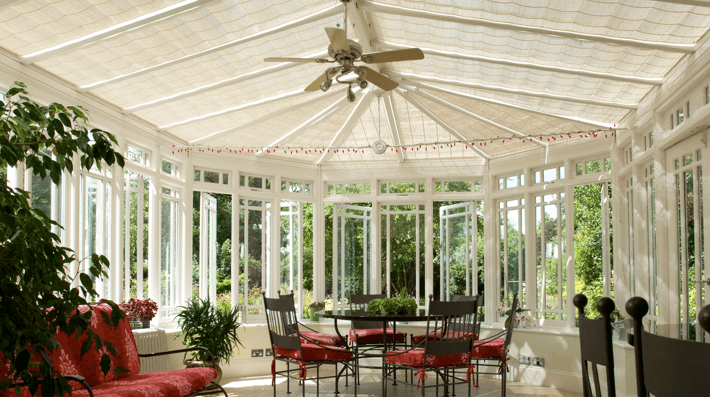 With over 25 years experience and an unrivalled reputation for quality and choice, Appeal Home Shading is the conservatory and window blinds supplier that we recommend. A very popular style perfect for the majority of rooms. Stylishly slim pleats mean that these blinds will retract neatly away when not in use. 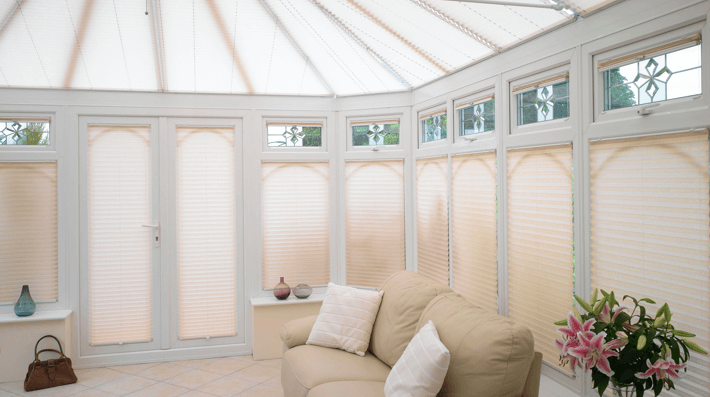 Available in a wide range of colours and fabrics, pleated blinds are ideally suited to conservatories, orangeries and bi-fold doors. Appeal’s unique PermaPleat® system ensures that the blinds will go on looking good for many years to come. If temperature control is a problem then Alu-Pleat® blinds are the perfect solution. 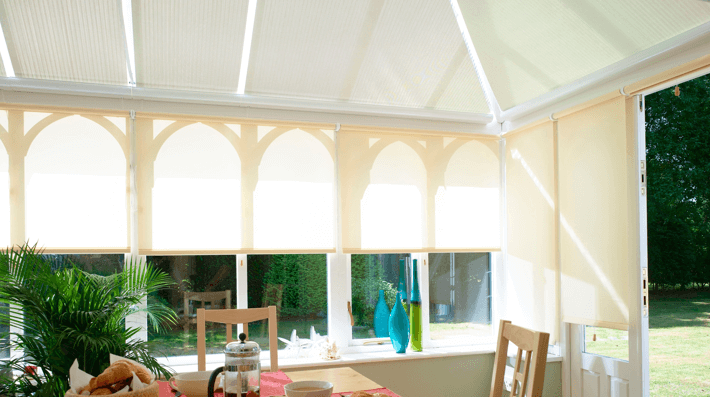 Exclusive to Appeal these pleated blinds offer an unbeatable 85% heat reflection making them the most effective blinds for keeping the conservatory cool in summer and warm in winter. 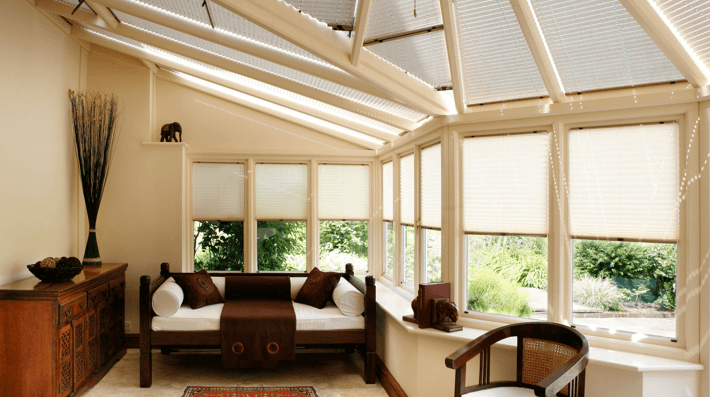 These classic woven wood blinds give a beautiful dappled light and are perfect for larger conservatories and orangeries. They can be colour matched to any shade of your choosing. 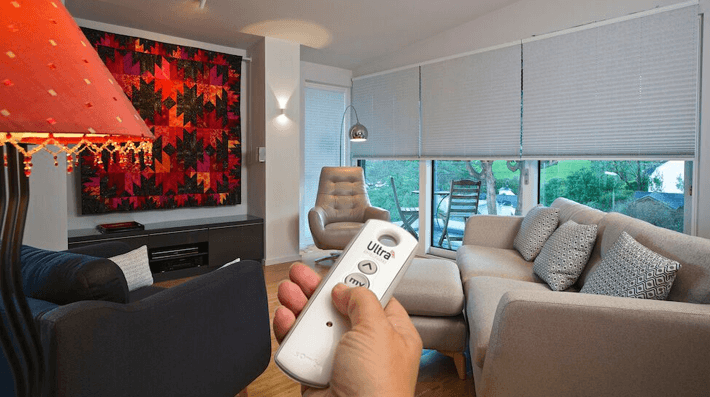 Appeal blinds are available with remote control operation – particularly useful for roof blinds or large conservatories. And new from Appeal is their range of Ultra Smart battery powered blinds which can be installed without any need to wire into the mains. 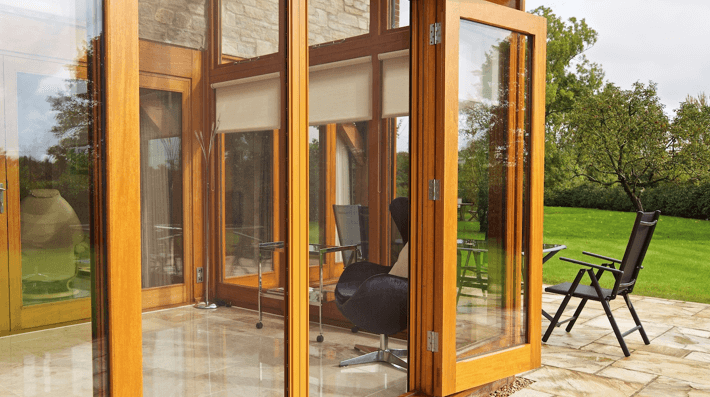 With purpose-designed Retractable Insect Screens from Appeal Home Shading, you can open wide all your doors and windows and enjoy a home and conservatory free from insect irritation in the most effective and convenient way. With Appeal’s insect screens, you can let the cool, fresh air into your home, but keep summer’s unwelcome flying visitors firmly at bay at the same time. The range of retractable insect screens from Appeal are all designed to discreetly blend into a door frame or window and the slim compact retractable mechanism folds the screen neatly away when not in use. Keep the fresh air flowing into your home, whilst keeping insects out. Super-fine ClearVu mesh allows a full uninterrupted view. Neat mechanism retracts discretely away. 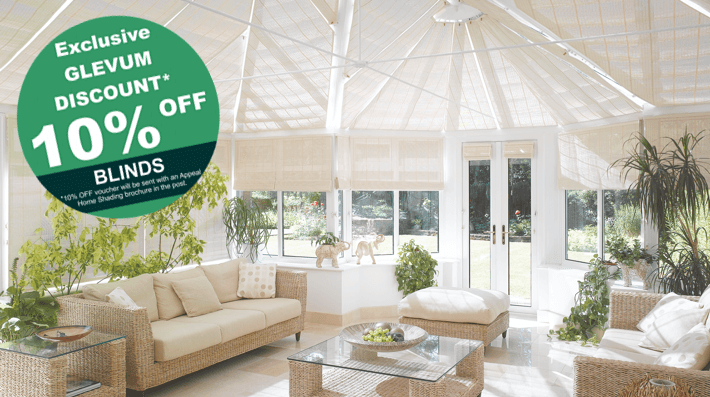 Perfect for single and double doors, windows, conservatories and bi-fold or wide patio doors. An Appeal Design Consultant will be on hand throughout, from your initial free no obligation design consultation through to the installation by their fully trained fitters. And because they control the whole process from start to finish, Appeal ensure that stringent standards of service and quality are always fully guaranteed. What’s more, Appeal back this up with a full 5 year guarantee on all of their blinds. I am happy to receive further communications (email, letter, SMS) from Glevum showcasing their latest special offers and promotions.